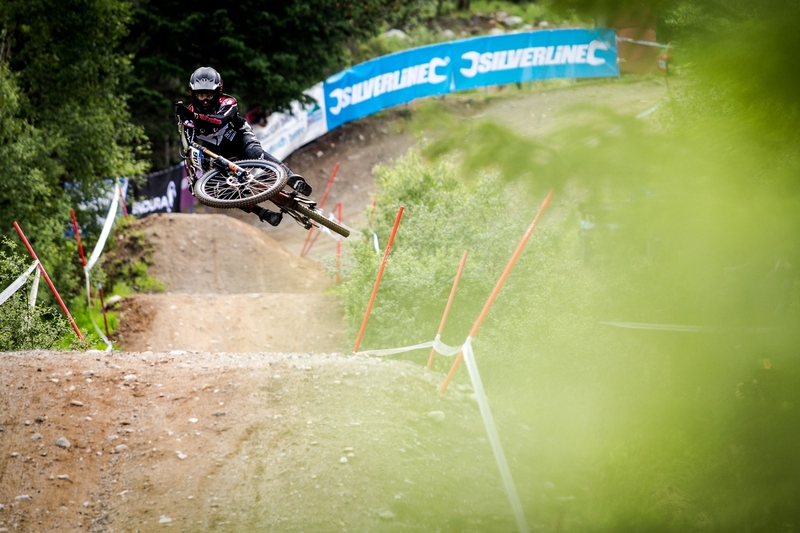 Despite a great start to his finals run here in Fort William yesterday, Aaron Gwin had an uncharacteristic over the handlebar crash in a section of the track that took out his team mate, Angel Suarez, nearly an hour earlier. Despite the warm and sunny conditions, some sections of the track were still suffering from high levels of moisture and low levels of grip, thanks to heavy overnight storms. All three riders passed through qualifying into Sunday’s 60 rider final, but not without issue. Aaron picked up a small sidewall cut on his tire but managed to get the bike to the line with 10psi on board, and score 8 points which would later prove to be very valuable. Neko finished one spot ahead in 16th scoring himself 9 points. After qualifying 45th in a run he wasn’t happy with, Angel Suarez set off on his race run Sunday with a blistering pace. His first sector ended up being the 2nd fastest of the day (with Aaron 3rd), but crashed in the second sector, destroying his brake levers and eventually getting to the finish line with no serious injury. All eyes went to series leader Aaron Gwin as he set off on his race run. He was well and truly up on the fastest time so far for the day when his front wheel got hooked up and he went down in the same place as Angel. Despite a banged up thumb and some cuts to his face, Aaron got to the line in an impressive 20thplace. In a day that saw many of the top riders out with injury or with mechanicals, the series lead remained in the hands of the Californian, who continues to be very upbeat about the current state of the series. 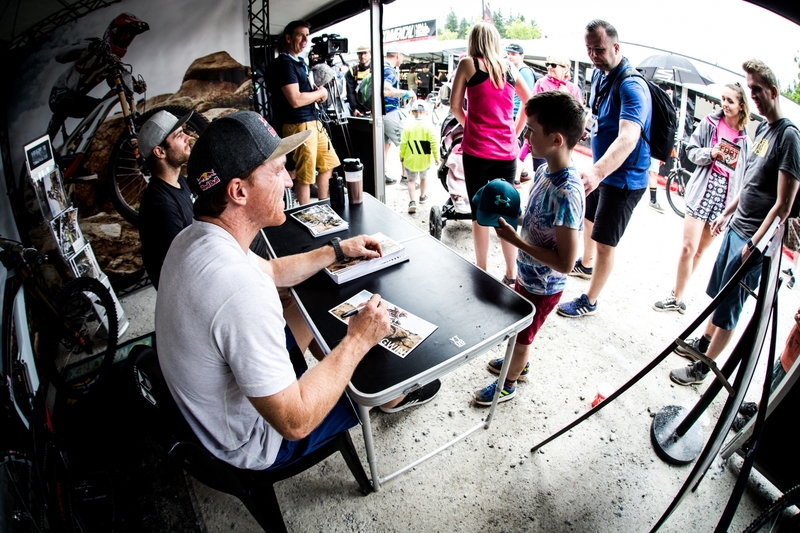 It was a tough weekend for us this year at Fort William. Despite all the setbacks I still feel like this was the best I’ve felt on track here in years. Things just didn’t go our way. I’ve studied film of my crash and found that one of the rocks had come loose and was sitting in the middle of that turn. I couldn’t see it and there’s nothing I could have done, so as bummed as I am about the crash, I’m happy that it was kind of out of my hands and not a big error on my part. That’s racing, hoping to heal up for this weekend in Leogang. 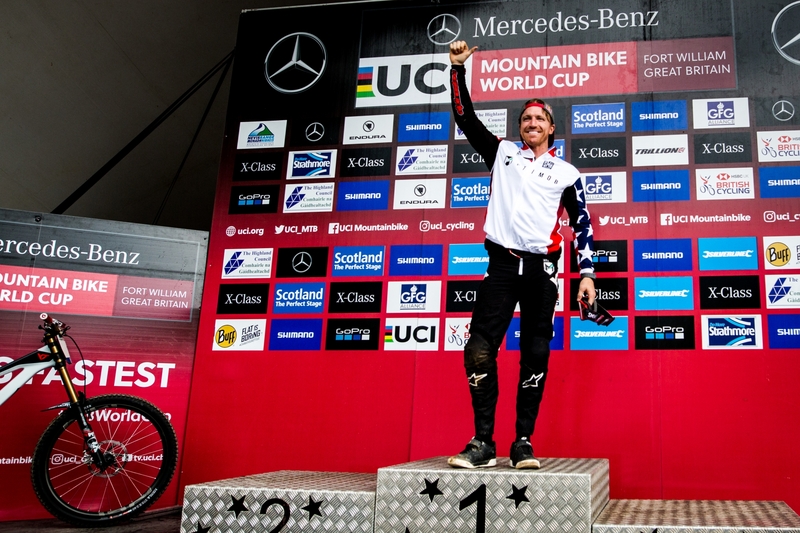 I had a solid weekend here in Fort William and was able to achieve some of the goals I set for myself by riding well in practice and scoring points in the quali. I was disappointed with the race run I put together though as I made a few small mistakes and was too cautious in other areas which ended up putting me off the pace for the result I was looking for. The overall ranking is so tight that I can move up quickly with a good result, and that’s my focus for the next weekend. Neko is currently in 19th position in the overall. 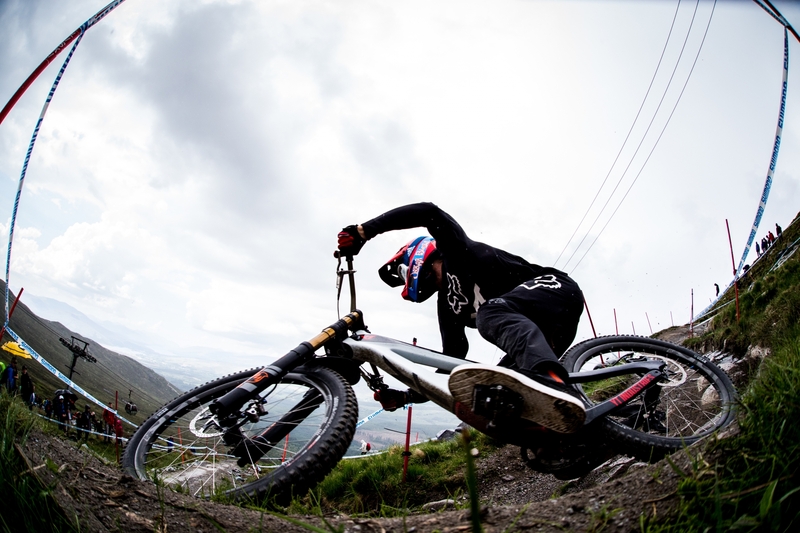 All teams and riders now make the annual journey to Leogang this week for Round 3, a track which has proven to be very good for the YT Mob in the past 2 years.